Antique Gold Longhorn Steer on Engraved Sterling finish background with Antique gold finish rope border. 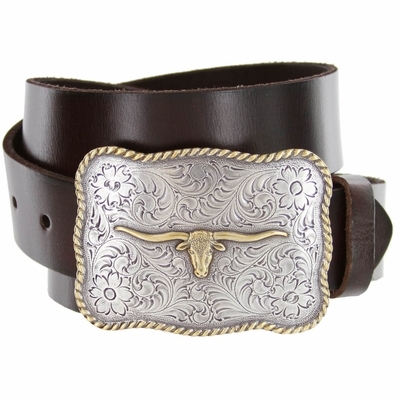 Buckle size: width 3 3/4" High 2 3/4". 1 1/2" Wide 100% Full Grain Leather Belt Snap Closure for ease in Changing to your favorite Buckle.